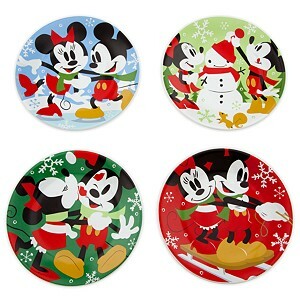 Looking for the perfect gift for your Disney friend who is hosting a Christmas party? Here are a few ideas that will surely appeal to them, you may need to buy 2 so you can keep one for yourself! 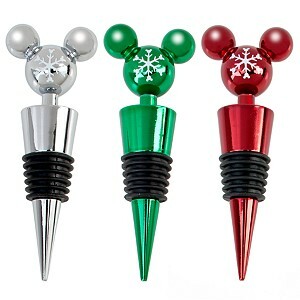 Who wouldn't love these bottle stoppers! Add a nice bottle of wine and a couple of wine glasses and I promise your hostess will LOVE you!! These cute bottle stoppers are just $26.95. You can always split them up and have the beginnings of three great hostess gifts!! The perfect hostess gift if you are attending a cookie swap!! 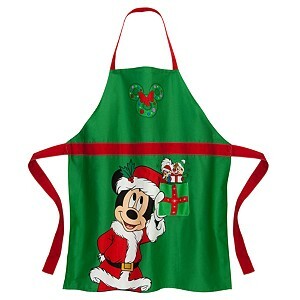 Everyone will look cute cooking in this festive Mickey apron for $21.95. Fold this apron, add a Mickey Cookie Cutter ($5.95) and place it on a cookie sheet for a nice gift for a baker too!! All you need to add is some homemade chocolate chip cookies (who can resist homemade cookies?? ), some cellophane and a ribbon and you're ready to go! 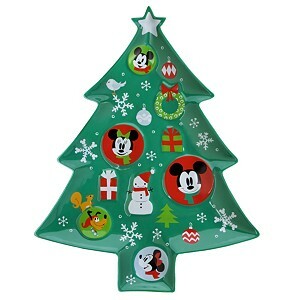 These cute plates are just $24.16, split them up and that's just over $6.00 plus the cost of cookies for each hostess gift!! How about a serving plate with brownies instead of cookies? Who wouldn't love a big batch of brownies served with Mickey, Minnie & Pluto? This cute plate is just $20.65 and would hold enough brownies for the entire party!! I love these cute candle holders!! At just $17.15 they are a great deal, just add a couple of tapered candles, and the party hostess with be thrilled. I am sure your party hostess will love any of these gift ideas, but you can also just use these ideas for any Disney lover in you life. I found everything here at the Disney Store online, quick shopping and you don't even have to change out of your pajamas!! Donna Kay....I want one of everything!!! So stinkin cute! 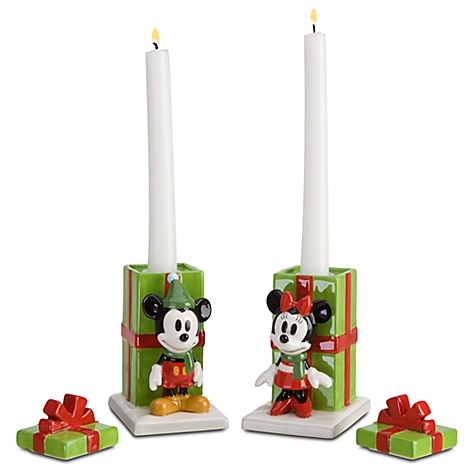 I LOVE the candle holders, they are so cute and they are on sale! !